A couple of days ago I posted a partial review of the SuperCables CookBook by Allen Wright. Of course there is not much use in working your way through a audio cable design book and then not building at least one of the cable designs. In this second part of the SuperCables CookBook review I will share my experience with a couple of the book designs and also try a simple design of my own using some of the design concepts outlined in the book. Over the past few years I have built a number of diy twisted RCA interconnect cables using high purity silver wire. Some of the cable design concepts outlined in the SuperCables CookBook agree with my past construction methods. So, can I use the new concepts to build a better interconnect cable? 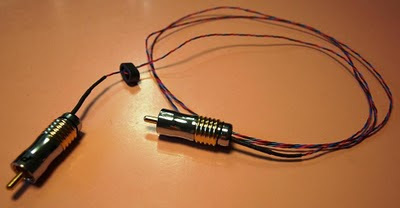 There are several cable designs in the book and I chose to build the wire wrap wire (WWW) interconnect and the WWW speaker cables. Wire wrap wire is typically 30AWG silver plated copper wire often insulated with Teflon. It is cautioned in the book that the WWW speaker cables can be no longer than 2m and that they should be used for low power amps only. My axe-of-choice when it comes to power amps is a 3W 6AS7 based SET (Single-Ended Triode) amp. Perfect. The book also cautioned that if you use these light weight speaker cables, you must remove all heavy connectors. For my HiFi setup I needed to construct at least two sets of RCA interconnect cables and one set of speaker cables. For RCA interconnect cables I built three sets in total of two different designs. Following the book design for #1, Air-spaced Finewire, I built two sets of wire, one very short set and one about 900 mm in length. The third RCA cable set was built by applying some of the concepts I picked up from the book. 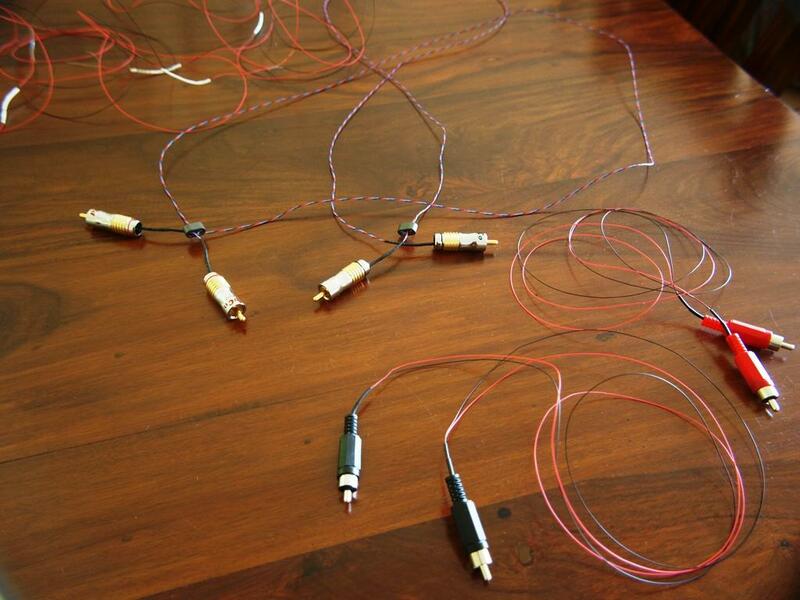 For the speaker cables I followed recipe #6, Air-spaced Finewire. All the audio cables were made using 30AWG wire warp wire. For the Air-spaced Finewire speaker and RCA interconnect cables I followed the directions outlined in the book. I even used $2 light weight plastic RCA plugs with insulated ears, as per the book. But with the third pair of interconnects I mixed some of the concepts from the with other cable ideas I had used in the past. In my Silver Highway RCA interconnect cables a three-wire braid using insulated pure silver 0.7mm (~ 22AWG) wires. The extra earth wire is not terminated at the destination end. The braided wires are encased in heat shrink and a ferrite choke is used at the destination end. 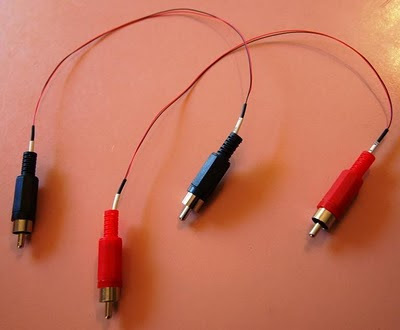 I used heavy RCA plugs and the connections are made using 5% silver solder. The idea of the second earth wire is that it gathers electrical noise and drains it back to the source. I think this cable sounds good and have built many sets for friends over the years. To reduce the chance of picking up unwanted noise on these RCA cables which will be 900mm in length I lightly twisted the three wires using a variable speed drill. The second earth wire was cut away at the destination end and fitted with a small choke. High-end heavy Pro Co plated premium RCA plugs were fitted and silver solder used. The #1, Air-space fine wire RCA cables may look cheap in comparison, but we are not here to win a beauty prize. Using this cable where the simpler two wire Air-space may work. 2M #6 WWW speaker leads. Usually when auditioning some new equipment you drop it into your existing system, pick your favorite test tracks and work your way through them. You listen for bass extension and weight, mid-range clarity and texture, treble extension, soundstage depth and width etc. After a few tracks you will start to recognize that the new gear has made an improvement in some areas and a reduction in others. If you are riding a winner that day it will be win, win all the way. But on occasions from the first few seconds of the first track you will be shaken to your very foundations. You never expect it to happen but occasionally it does. You go from 0 to 100 in 10 seconds. The test set-up above caught my attention within the first few seconds of Stan Getz live. My mind struggled for the first second or two to track what I was hearing and place it in some logical place in conscience land. The cymbals rang clean and clear like nothing I had ever heard. All instruments were crisp, defined, real and raw. It felt like I had thrown all my old gear out and just set-up all new gear from scratch. Stunning. And forget trying to find your speakers with your eyes closed. They were gone, vanished never to come back. What remained was a fat sound stage projecting from the back wall. The sound stage could have been deeper but it was detailed and etched. I could go on for pages but let’s just say that these gossamer like ultra low-cost diy cables breathed new life into components, whose sound I knew very well. They appeared to strip away so much vagueness in the presentation and laziness in the projecting of the over-all sound it was hard to comprehend. I spent six hours in a single listening session in front of the HiFi system above. Not all recordings shook me as much as others but all seem to benefit. Some recording far more than others and I’m not sure why. Ok, so you may have noticed there are no comments about how the air-spaced RCA cables tested or compared against my twisted set. I’ll save those listening notes for a cable shoot-out and listening session report which will follow in a few days. Just a comment about the #6 Air-spaced Finewire speaker cables. Because I used no terminating connection they were clamped in the power amp and speaker binding posts. As you can imagine, in time the thin wire will eventually break. It is my intention to parallel a few inches of 1 mm thick pure silver wire to the ends of the speaker cables. This should provide a light weight binding connection that will last for a while. That’s it – now go and build some cables! For more details about the book, see Part 1, The SuperCables CookBook review. In the third part of the SuperCables CookBook series Mark and Ron have a cable shoot-out with the new fine wire audio cables. 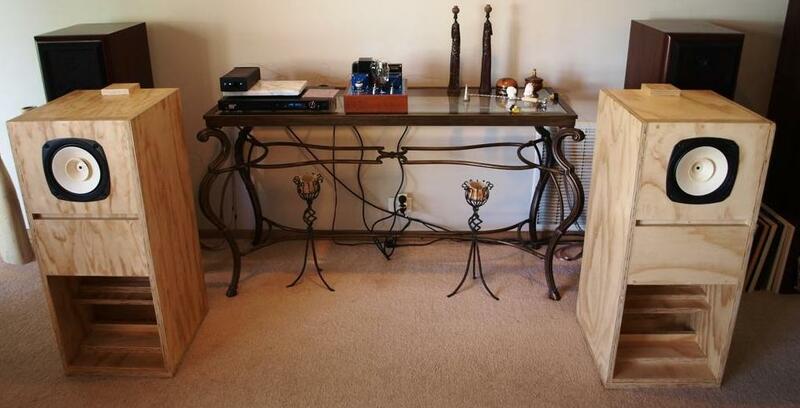 See The Fine Wire Audio Cable Shoot-Out story for the full details. Update (11 December 2010): I've updated the terminations for both the #1, Air-spaced Finewire RCA interconnect cables and the #6, Air-spaced Finewire Speaker Cables. See the Skinny is in! 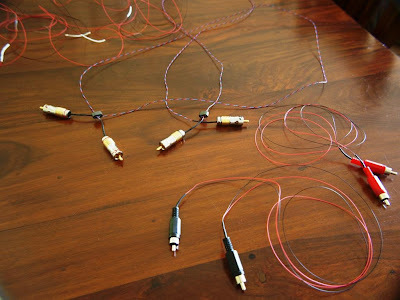 - Thin wire audio cables thread for more information and further discussion. I am new to this site and wanted to thank you for the obvious time and effort you put in to create these articles. Good information, easy to follow = hard to find! I have previously built unbalanced rca ic's with Radio Shack 30ga. magnet wire and cheap (appx. $4.00 for 2) non- gold plated rca plugs. I spaced the two fine wires appx 2" apart on 3" wide polyethylene-based tape with cotton fibers running lengthwise. To say that they absolutely killed my current (rather pricey) ic's in many, many ways is an understatement. I look forward to reading more about your projects. Hi Jeff, welcome to the site. I've also got this book and have been fooling around with the fine wire interconnects. In the future we will be posting a Reference RCA Cable following this approach. Reference in the sense that these cables are so easy and inexpensive to make that they should be used to compare to store bought cables.